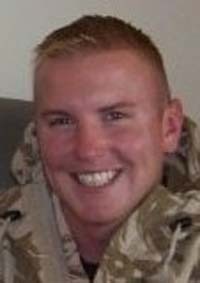 Colin Tyler O'Donnell, 24, of Jerome, Idaho, passed away on Dec. 9, 2011. Colin was born June 24, 1987, in Henderson, Nev.
Colin is survived by his mother, Paula Carson (Keith Carson), and father, Robert O'Donnell; wife, Heather Smith-O'Donnell; sisters, Sarah O'Donnell and Macy O'Donnell; grandparents Betty and Elmer Glover, and grandfather William Dooley; and aunts and uncles Robert Elmore and family, Cathleen Dooley and family, Barry Dooley and family, Ora Enos and family and Joseph O'Donnell and family. Colin is predeceased by his grandmother, Lola O'Donnell; grandfather, Hal O'Donnell; grandmother Ann Dooley; and uncles Lillard "Butch" O'Donnell and William Dooley. Colin attended Wood River High School where he was proud to be a Wolverine football player and sing in the choir. He also spent some of his time with the Hailey Fire Department, participating in the rope rescue program. Colin graduated from Sierra Vista High School in Las Vegas, Nev., in 2005. Colin served an honorable four years for his country as a Marine after high school graduation. He then attended the College of Southern Idaho. Memorial services will be conducted at 5 p.m., Saturday, Dec. 17, at Farnsworth Mortuary Chapel, 1343 S. Lincoln Ave., Jerome, Idaho.